Premier Rachel Notley loves Alberta. She loves Calgary. She loves the working people of the oilsands. And she loves pipelines and rail cars to move Alberta’s oil to more lucrative markets. At least, that’s what she loves when in front of a live microphone and camera. 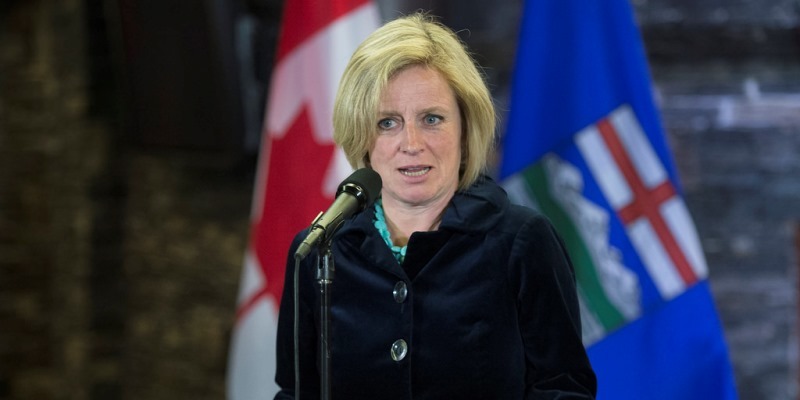 …pocketed almost $23,000 advising Premier Rachel Notley’s government on environmental sustainable oilsands development, while also advocating against projects such as the Trans Mountain pipeline expansion that would help the industry and boost the provincial economy. Berman thinks so highly of the oilsands that she compared them to the fictional wasteland of Mordor in Lord of the Rings. Even so, the premier wouldn’t fire her because “a diversity of voices is healthy.” Berman’s views have now evolved from sustainable development to “steady extinguishment” of the oilsands, painting an image of a sector in decline. Now, it seems that either the premier did not learn the lesson of appointing an environmental fox to guard the hen house, or she’s singing from two separate song sheets—the one for cameras and the one for appointments. As Licia Corbella points out in the National Post, Premier Notley has once again appointed another fox to guard the henhouse in the person of Ed Whittingham, former executive director of the Pembina Institute. The premier appointed Whittingham to serve on the Alberta Energy Regulator for a five-year term at $76,500 per year. As Corbella observes, this is the same person who stood beside Premier Notley when she introduced her onerous Climate Leadership Plan. And it was Whittingham who pressured the Trudeau government and the National Energy Board to strike the death blow on the Energy East pipeline by requiring the “indirect CO2 emissions caused by the end users of Alberta’s oil and gas, instead of just the emissions caused by the pipeline itself.” Once again, defenders of the appointment are waving the flag of diversity to justify the appointment. Hiring foxes to guard hen houses may indeed increase the diversity of the guardians. It’s unlikely, however, that such appointments will do much to increase the number of hens.